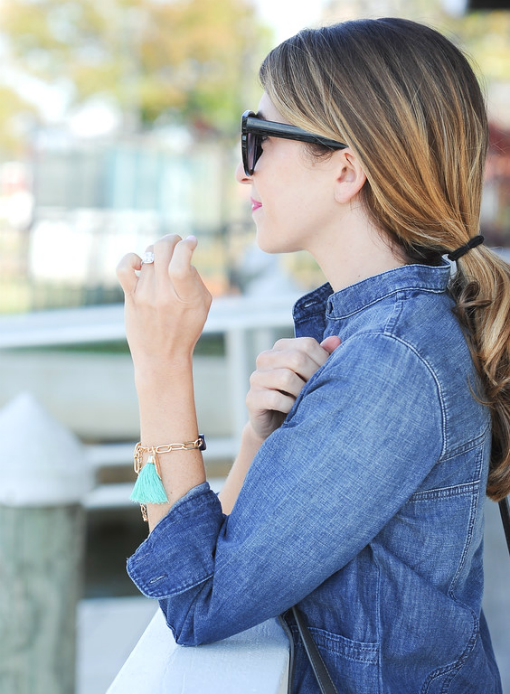 My obsession with denim continues, except this time it's a denim downshift dress. It's a minimalist outfit that screams to be worn with ankle booties and a big cozy vest over top. The weather has been super funky lately, and when I stepped out to take these photos over a week ago, it was exceptionally warm. Hence why I look like I'm ready to go swimming in the bay. While it's fun to dress up and put on fancy heels, I oftentimes like to keep things simple and let my accessories do the talking. If you're aiming to look polished, yet effortless, then the minimalist style is definitely for you. Minimalist dressing often pulls influence from menswear, but there's nothing like a delicate tasseled bracelet to restore the femininity in the outfit. 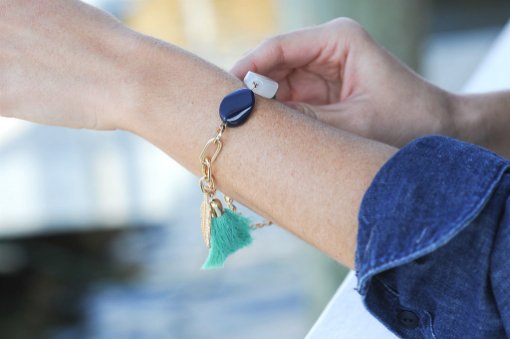 This tassel bracelet from Pink Slate boutique added the perfect delicate touch. Typically I pile on the accessories, but I enjoyed sticking to just one piece for this look. My favorite way to achieve the minimalist style is to play with a neutral palette. Think black and white, and earthy tones. 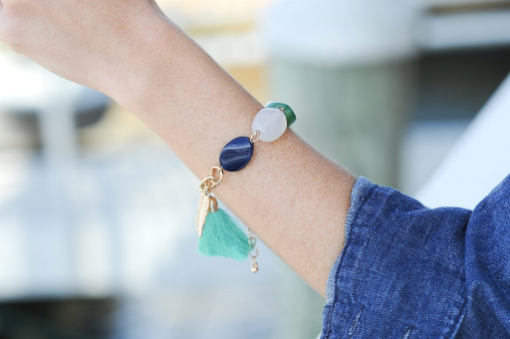 Don't be afraid to accessorize, just make sure the colors aren't too vibrant and you keep the word "dainty" in mind. 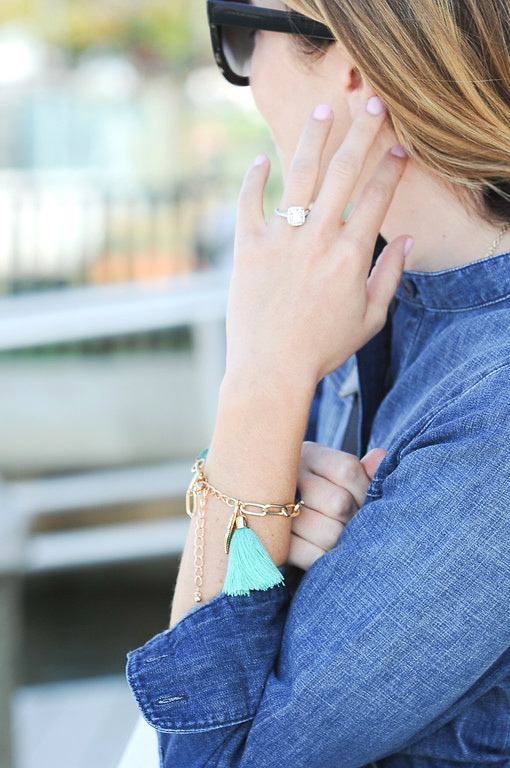 The tassel on that bracelet is so fun! Cute outfit! 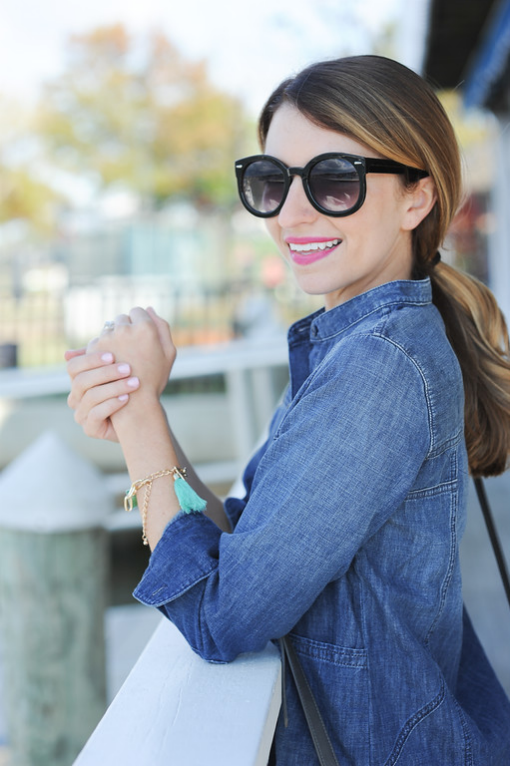 Totally loving the Jackie O sunnies!